Looking for airtel zero rental internet pack. Then, you are at right place. 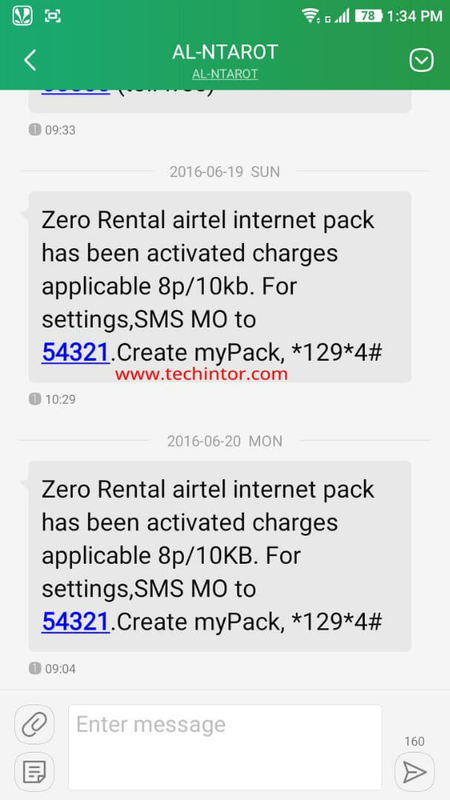 Today we are sharing the methods to activate zero rental 3g pack on airtel. In many regions airtel now not providing 3g zero rental pack. That is users can’t register to airtel 3g network without 3g packs. they limited the 3g network only for 3g data pack activated users. So you can use airtel 3g internet only when you have a valid 3g pack active. Due to this, many free internet tricks can’t be used in 3g speed. For example – airtel Hammer VPN free internet trick which is working in almost all states cannot be used in 3g speed in some states. So our techintor.com users can’t enjoy free internet tricks in 3g speed, they are limited to browse and download in 2g speed.this is a little bit annoying. Here now techintor.com find some solutions for this. So by following below methods, you can activate zero rental 3g pack in airtel. What is airtel 3g zero rental pack ? 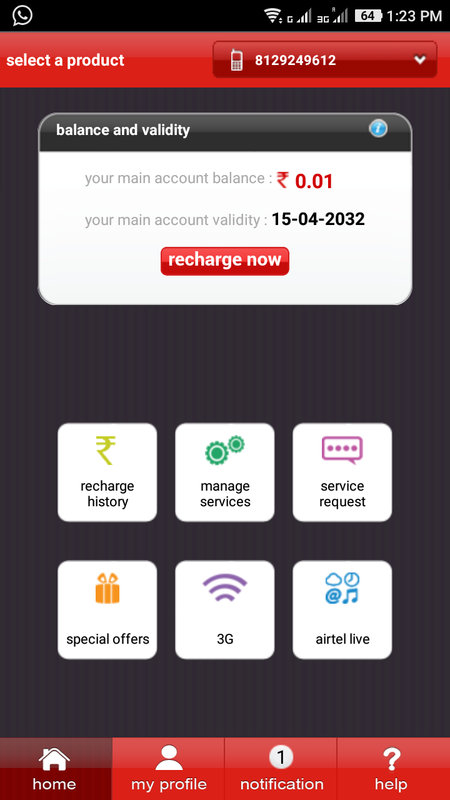 0.1 What is airtel 3g zero rental pack ? 0.1.1 How this airtel 3g zero rental pack connected to airtel free internet tricks? | why this is so important for airtel free internet tricks? With this pack, you can connect to 3g network even when you didn’t have a valid 3g plan. You can use 3g internet with your main account balance. P.S : This is not a free internet trick. But this helps in other airtel free internet tricks for getting 3g speed. How this airtel 3g zero rental pack connected to airtel free internet tricks? | why this is so important for airtel free internet tricks? Normally airtel users can’t register to 3g network if they have no any valid 3g data pack. So while using airtel free internet tricks users are limited to use 2g network. So at zero balance users can’t enjoy 3g internet tricks at 3g speed. Note – This is only for some states. Some other states have no any issues like this. Also, there is no any airtel 3g zero rental pack information now officially available from airtel. So users can’t able to find any info about this. Airtel has hidden all info about this pack now. But don’t worry guys, here techintor.com provides you some solutions to activate and enjoy 3g zero rental pack easily. Note- you need to download version 2.3 of my airtel app [given above]. Don’t download from playstore. also don’t update this app. 6. then go to 3g and activate 3g. 7. You are done. You can now enjoy 3g internet with your airtel main account balance. ** call to airtel customer care. call to 198 complaint customer care, so you can easily connect customer care. ** Tell them to activate airtel 3g zero rental pack. PRO TIPS : When you ask for airtel 3g zero rental pack then they first tell you that there are no any such packs. Then just describe what is the pack actual. tell them i want to use 3g internet by deducting my main account balance. If still they not convinced, then tell that i was activated the same pack some months before. and now it is deactivated. Sometimes they will ask for hold the line. and they will do the pack from there. So you successfully activated the airtel 3g zero rental pack now. Customer care: There are no such packs. what is your budget? i will help you to activate some other 3g data packs according to your budget. Me: No need of any 3g data packs. I want to use airtel 3g internet by deducting my main balance. Customer care: sir, there are no any such packs available. Me: I have activated the same offer before 3 months. but some days before it is deactivated automatically. Customer care: Sir, please hold the line. let me check the pack. Customer care: Okay sir. i am just activated the airtel 3g zero rental pack from here. You will get a confirmation message within 4 hours. After sometime i got the confirmation message from airtel. Note- This trick worked for me perfectly. try this. very simple to follow. use your brain while answering to customer care. I hope you guys enjoyed reading this tricks to activate airtel 3g zero rental pack at rs.0 . if this article helped you, then please share it on facebook and other social networking platforms. there is an other method. …. I had activated 3g using the my airtel app but 3g was automatically deactivated after one day ….. help me. pls..
how did you know it is deactivated ???? got any messages?? try to register on 3g network manually…. I tried this trick and getting 3g speed on 301rs 2g pack but after 3.5GB my speed capped at 48 kbps. btw did anyone tried this trick on 50 hours unlimited 2g pack? i checked this trick on night and cyber cafe plans and speed were only 2-4 KBps on 3g mode and 30-40 KBps on Edge mode. Cant download from there,, kindly upload to any other site. App given for download my airtel 2.3 is displayed as trojan by my anti virus.